My nephew is getting married in March next year. My sister is going to make the wedding flowers and yesterday did a flower decorating course to learn some extra tips and tricks of the trade. This is one of the posies she created. She gave it to me when she came to visit yesterday because she thought it might make me feel better as I am sick. This floral arrangement is housed in a coffee cup and is quite small. It is very pretty and did brighten my day. 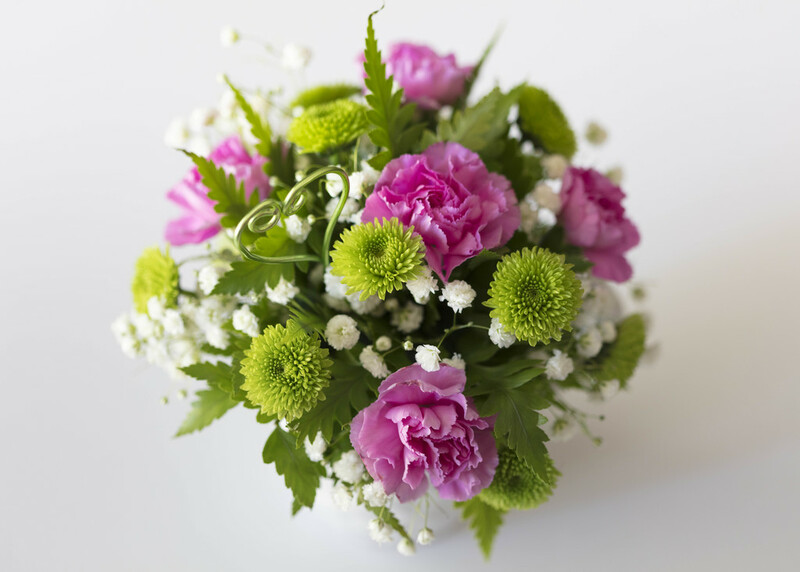 gorgeous bouquet … Get well soon, Nicole. I'm so sorry to hear you're not feeling well. But your very talented sister dis a wonderful job with this and I'm glad it cheered you up! Awww how sweet. Aren’t sisters wonderful?! I hope you are feeling better now! So pretty, I love the colours, they go so well together. Sorry to hear you aren't too well at the moment, hope you recover soon. @grammyn - I normally make the honey and lemon drink with hot water but I have never put a shot of whiskey in it. I might just try this today, mum is taking the girls to the movies for me so I can sleep.